The Chronicle of Higher Education recently published a story “Litany of Controversies Leads to Calls for Louisville’s President to Resign” The article focuses on the controversies surrounding President Ramsey. I have lived the majority of my adult life in Louisville and started my professional higher education career in Louisville. I also have my Masters from the University of Louisville and am a proud alumni. Dr. Ramsey has been an excellent President during his tenure and built up the reputation of the university. However it is in danger of sliding backwards and they could lose national and local support if this continues. Perhaps its time for President Ramsey to resign and take his skills to another organization where he can personally be re-energized and move a different institution forward. I am pleased to announce that Dr. Senthil Nathan and I are participating in the 6th QS-MAPLE Conference on May 10-12 at United Arab Emirates University in Al Ain. We will be presenting on the topic, “Implementing co-curricular outcomes as a win-win proposition”. The mission of QS-MAPLE is to provide a forum that promotes the development of higher education in the Middle East and North Africa in the global context that stimulates international partnership, and to support the processes of institutional evaluation and upgrading that will lead to greater worldwide recognition of Middle Eastern and North African universities. 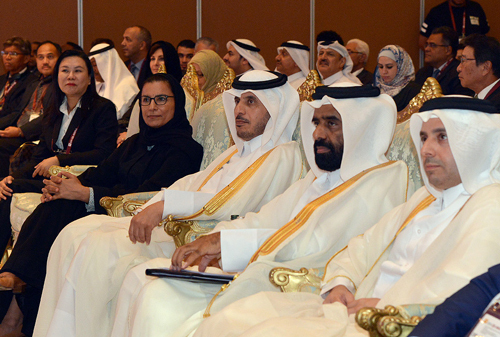 The QS-MAPLE conference in Doha in 2015 drew over 300 participants including university leaders, higher education experts, and educators from over 20 countries to advance discussions on the internationalization of higher education in the Middle East and North Africa region. 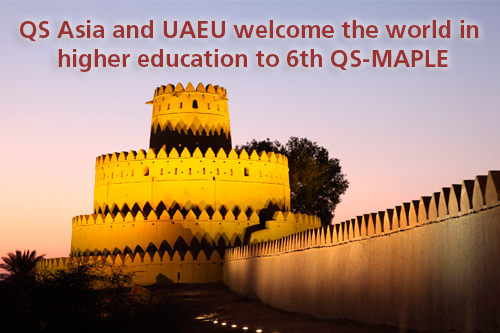 I encourage my higher education colleagues to register for QS-MAPLE Conference in Al Ain. It will be an outstanding event and a great opportunity to network. Senthil and I hope to see you in Al Ain.